Note: Hints & Tips are based on solely Auchan. You’ll be tempted to buy things that you come across. Don’t be lured in, it’s a trap. For instance, at the front of the store, there is an array of products: shampoos, conditioners etc. It’s a sort of “bulk buy” / “expensive” stuff section. The same stuff is further on but cheaper and less bulk buy-ey. That principle applies with everything. There is no discernible logic as to the positioning of products. Learn how to “sneak” things back onto the wrong shelves or you’ll spend hours returning to aisles to put things you’ve already bought back because you’ve spotted a cheaper version of the thing you were buying several aisles down. Get Stuffer’s Yogurt Cremoso. It comes in the form of what looks to be a pot of gloss paint. It’s the nicest thing I’ve possibly ever eaten. There’s lots of unusual veg that don’t make it to the English supermarkets. Unless perhaps you go to Waitrose. 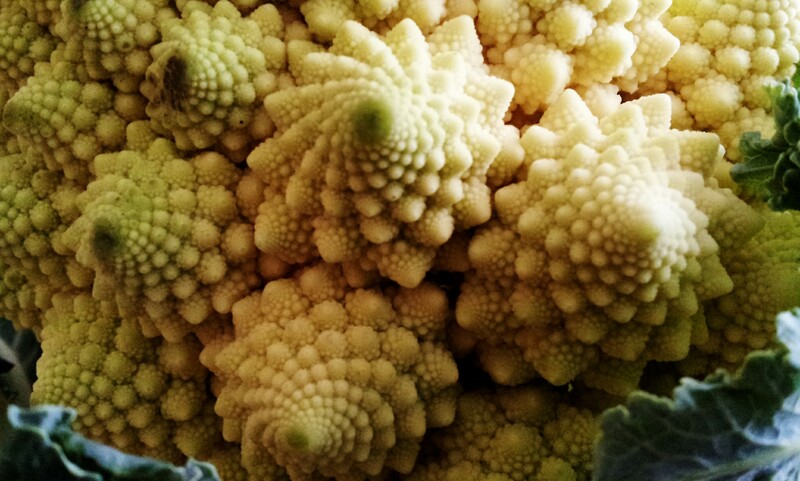 My favourite looking vegetable thus far is the beautiful Cavolfiore Romanesco which turns out to taste exactly like bog standard broccoli. I don’t think they do free-range eggs. I’ll ask Marco if there’s a term for that. Makes me a bit uncomfortable buying them. The cheapo 1 Euro something wine in a carton is actually very nice…!